In February 2005, in conjunction with the organisation of European students, then ESIB, now ESU, the Collegium of the Magna Charta Observatory published a Statement of Concern expressing worry about the various forms of corruption that exist in higher education – in Europe and beyond – from concussion to sexual harassment, from political pressure to unfair promotion practices: the university puts its scientific and credentialing credibility at risk when falling into the temptation of power games and shortcuts to easy monies. In Spring 2007, the Observatory and ESU then published an Essay entitled Academic Malpractice: Threats and Temptations, this booklet being sent to some 1400 correspondents –among them 900 universities – with a questionnaire asking how academic institutions develop institutional practices in order to discover, control or eradicate malpractice, on one side, or act on strategies of institutional coherence and cohesiveness to ensure university integrity. 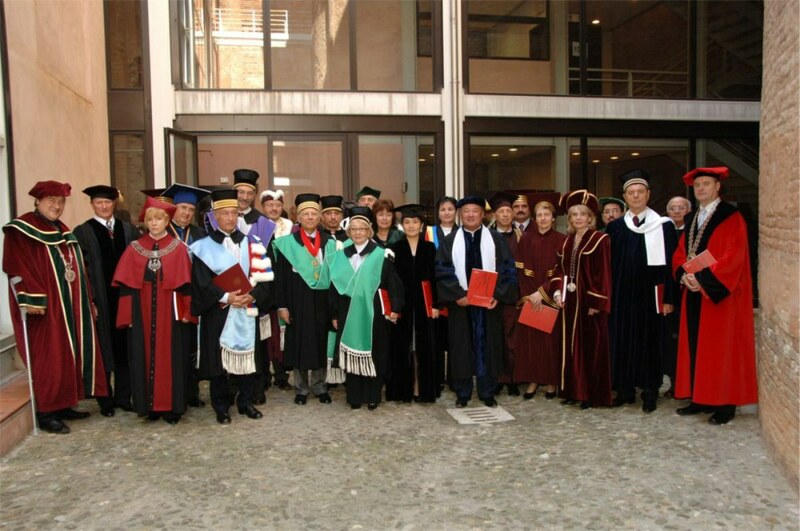 On that basis, Martina Vukasovic, head of the Centre for Education Research in Belgrade, and former President of ESIB, prepared background documentation for the 2007 conference of the Magna Charta Observatory organised in Bologna on 20 September as a prelude to the ceremony prepared by the University for the following day when 26 university presidents and rectors solemnly endorsed the Magna Charta – thus bringing to 572 (?) the number of universities that have signed the document since it was first proposed to world academia in 1988. In the same way as earlier years – for instance in 2006 with the Council of Europe -, in 2007 the conference was co-sponsored by the European Students Union (ESU) and academics from other parts of the world were also asked to contribute to the discussion on the ways and means used by universities to manage institutional integrity, specialists coming from the USA (Dr Leta Finch), Egypt (Prof. Hossam Badrawi) and Columbia (Prof. Jeannette Vasquez). The programme opened on a keynote on the situation in Europe by Prof. Andras Sajo of the Central European University in Budapest before the President of the Magna Charta Collegium, Prof. Michael Daxner, offered a sociological analysis of the problem, the student delegation from ESU giving the counterpoint from the ‘users’ of higher education, Koen Geven, the ESU President, bringing the meeting to a close with suggestions for further action – especially at international level where the Magna Charta could take a leading role as a reference point for academic transparency – a matter to be explored on the way to the 20th anniversary of the Magna Charta in September 2008. All these contributions are to be published as the Proceedings of the 2007 conference at the beginning of 2008.